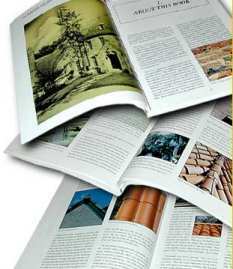 Order the book on historic clay and concrete roof tile identification! This tile cutter is available for rent. expected to act on the material in the course of demolition or renovation. In other words, hand pressure. If a Category II transite (a non-friable asbestos containing material with more than 1% asbestos), which is what most roofing and siding material will fall under (including asbestos slate), is in good condition, it can be broken without causing the material to be regulated. This determination is usually made on a case by case situation. The transite material can be worked with in a safe manner with each state having their own guidelines and regulations. The EPA also have their rules. At a minimum, the material being worked with should be kept wet during work and removal, the nails extracted from the material and the product lowered to the ground for continued processing/handling. Disposal of all this material remains a matter to be governed by each individual location and state and most often the disposal sites are also regulated. Asbestos products and by-products have been used extensively in the roofing industry throughout the years. Since the health related concerns and issues dealing with asbestos have become apparent, the companies that once used the material in their products and processes have slowly been reduced, either having ceased business operations due to increased legal action and concerns or they have stopped using the material altogether and have sought out alternative products which will simulate the properties of asbestos shingles. It is commonly thought that asbestos was used only in shingles and siding, yet it was widely used in insulation, felt underlayments, simulated wood trim, sheathing and other construction lumber. It was used in cements, mastics, putties and other types of sealants commonly used in roof applications. It was used in corrugated roofing and siding material. In many cases, entire attics were lined with asbestos containing materials. So it remains imperative that one look and investigate further than just the initial roof covering when performing demolition, repair or restoration work on these old roofs. It also remains important that a working knowledge of the products and their applications be integrated into any type of project affecting this material. 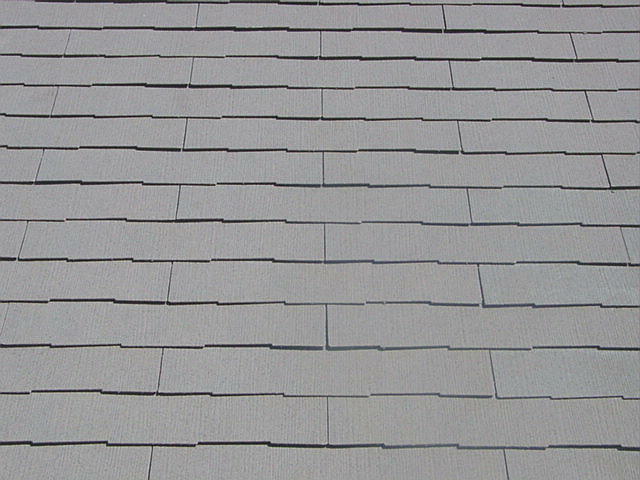 Many of the different types of the mineral fiber asbestos shingles are available today on the roofing market. Locating and procuring the material will depend on the availability of the material salvaged and also the availability of skilled workmen which can perform the type of repairs or other work that may be needed. Asbestos has always stood uniquely alone, a rock as old as the world which has remained virtually immune to the forces of heat, weather, moisture and wear. It can also be manipulated into a variety of useful forms and shapes. It is quarried in much the same way that stone is mined and except for its color it looks like ordinary rock. It is only after the process of mechanical manipulation takes place that the extracted fibres can be changed into the multitude of useful articles used throughout the years. Having been a mere curiosity of the ages it eventually became a widely used mineral with a wide range of useful and technologically related applications. And, as time went on the eventual dangers of the product also became apparent. Today, while asbestos still has beneficial and practical uses, the way it is used and handled has become paramount and any type of handling must be performed according to the specified standards. Asbestos is a mineral which was formed millions of years ago. An interesting material it is as heavy and dense as marble yet remains a simple nugget of silky fibers. It will not burn or rust and resists erosion. Its composition is primarily magnesia, silica and some alumina, ferrous oxide and water. Its fibers are smooth and non-tubular hence separating it from all other known types of fibres. The concept of the asbestos shingle was born out of need. As architectural variations flourished, and the different needs of roofing conditions changed, it became apparent that there be offered roofing materials that would provide absolute protection from any possible weather condition. Furthermore, with the awareness of huge annual fire losses, the selection of a roofing material that could not burn or carry fire became even more of a priority than the architectural value. The mineral fiber asbestos roofing material seemed to offer it all. The first use of the asbestos roofing shingles and siding occurred in Europe in the late 1800s and its extensive use kindled the desire and the need for the product in the United States. The first American made asbestos shingles were manufactured by the Ambler Asbestos Shingle & Sheathing Company in 1905. They had two facilities, one in Ambler, PA and the other in St. Louis, MO. They initiated sales offices throughout the eastern United States. Like any great entrepreneurial concept, similar ideas and companies with the desire to compete sprung up and by the 1920s most major roofing supply companies such as Carey, Johns-Mansville, Century, Eternit and others were in full production of asbestos shingles, siding and simulated lumber products. Since the peculiar properties of asbestos were well adapted to commercial uses, the products created included applications for heat conservation, electrical and plumbing insulation and other conservation purposes. It eventually evolved into the auto industry, with most brake lining facilities using the asbestos processes. Regardless of the use or the location of the factory, much of the Chrysotile Fibre asbestos came from mines in Canada and Arizona. NOTICE: THIS WEBSITE SECTION IS PROVIDED AS A COURTESY TO CONVEY SOME OF THE INFORMATION AVAILABLE ABOUT ASBESTOS CONTAINING ROOFING MATERIAL, MINERAL FIBER CEMENT AND/OR TRANSITE ROOFING AND SIDING MATERIAL. 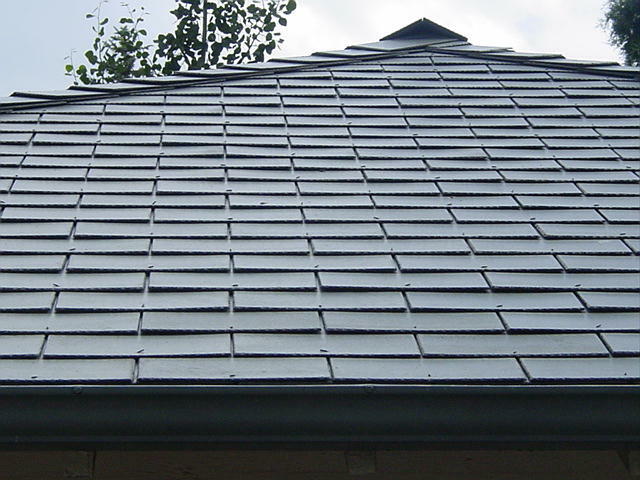 IT BY NO MEANS SHOULD BE CONSTRUED TO MINIMIZE THE IMPORTANCE OF THE PROPER CARE AND HANDLING OF THIS OR ANY OTHER POTENTIALLY HAZARDOUS ROOFING MATERIAL AND DOES NOT REPLACE, MODIFY OR NEGATE ANY OF THE STATE OR FEDERAL REGULATIONS WHICH EXIST FOR THE PURPOSE OF GOVERNING THE WAY THIS TYPE OF MATERIAL IS WORKED WITH. IT IS RECOMMENDED THAT PRIOR TO WORKING WITH THIS TYPE OF PRODUCT ONE SHOULD THOROUGHLY RESEARCH THE RULES AND REGULATIONS ASSOCIATED WITH IT AND THE AREA IN WHICH THE WORK SHALL BE PERFORMED. FAQs | Contact Us | Selling Your Roof Tile? | Looking For Roof Tile? 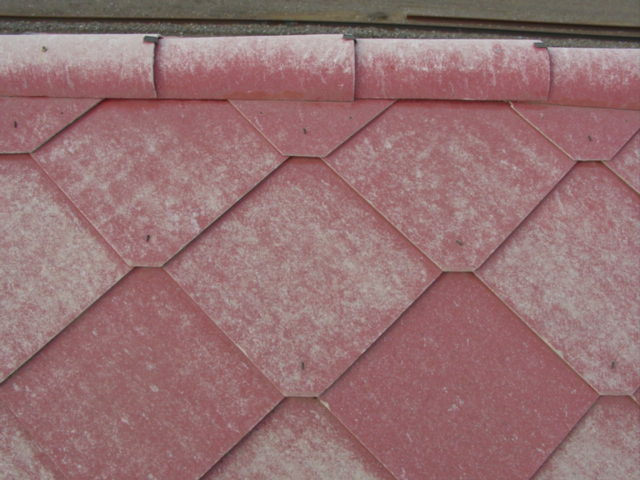 | Asbestos Roof Tiles | Consulting | Roof Tile Repair and Installation Photos | New To Tile?